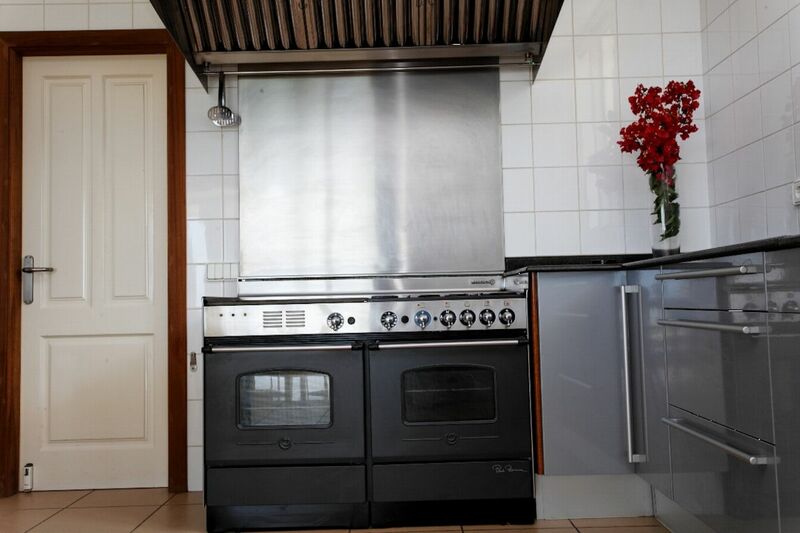 Cleaning 5 days per week. 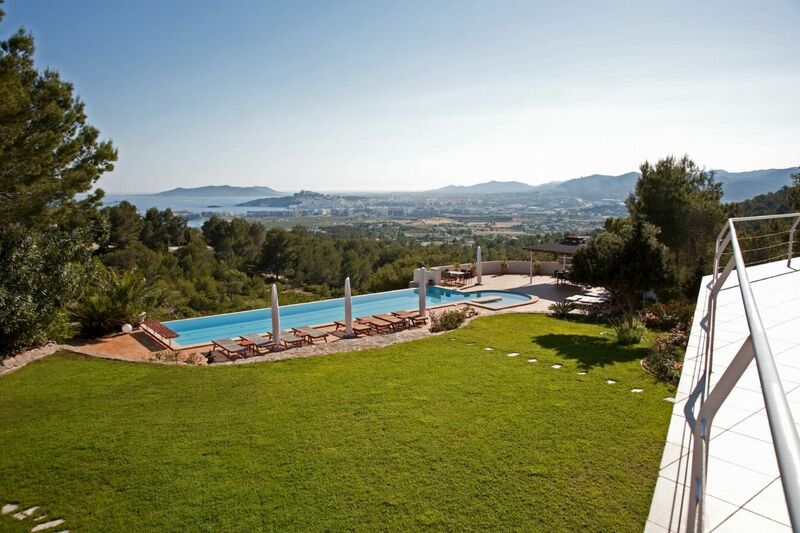 Secluded in the hills behind Talamanca, the villas is superbly located with spectacular sea views overlooking S'Estanyol Bay. 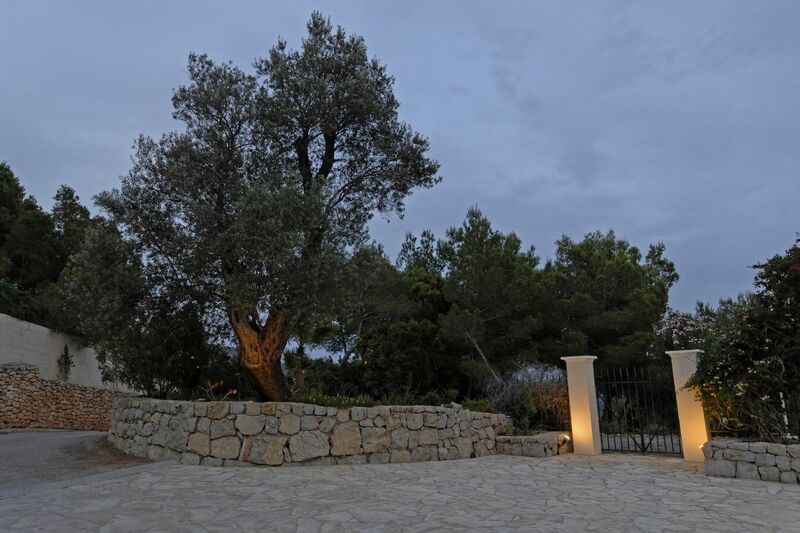 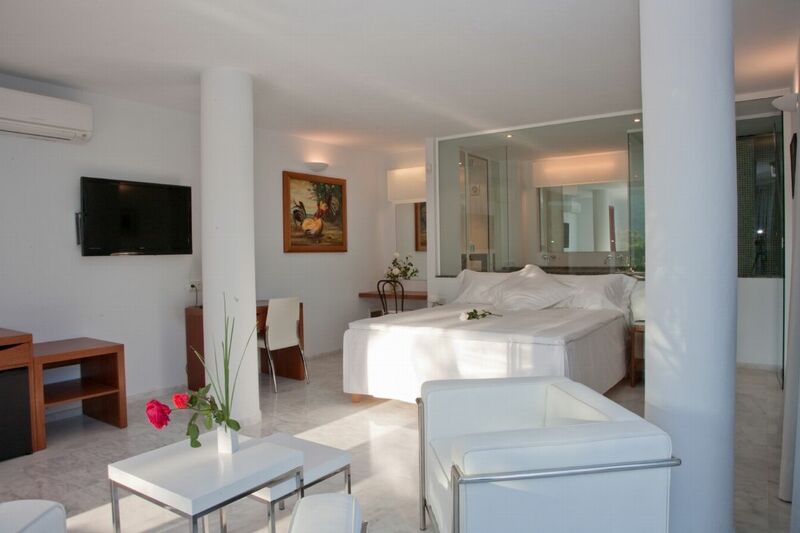 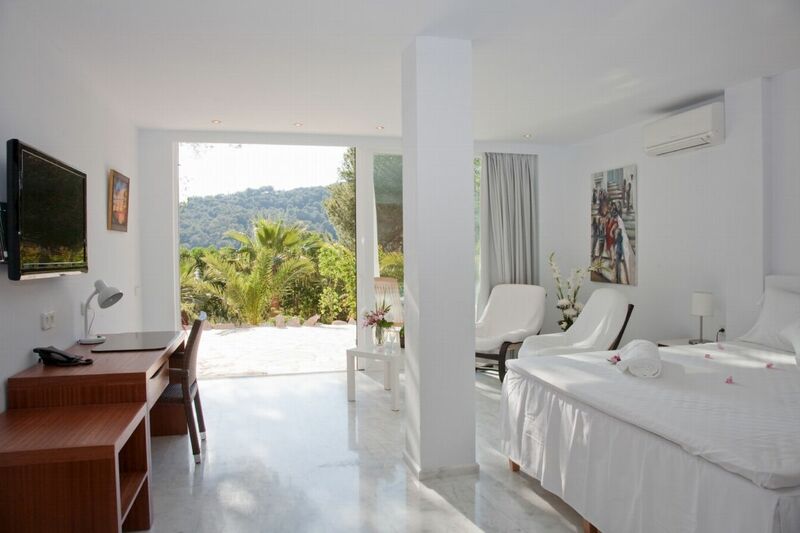 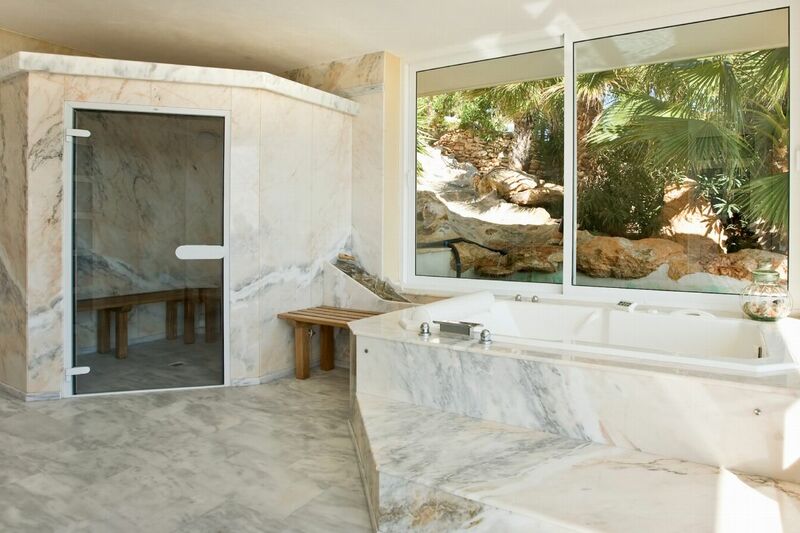 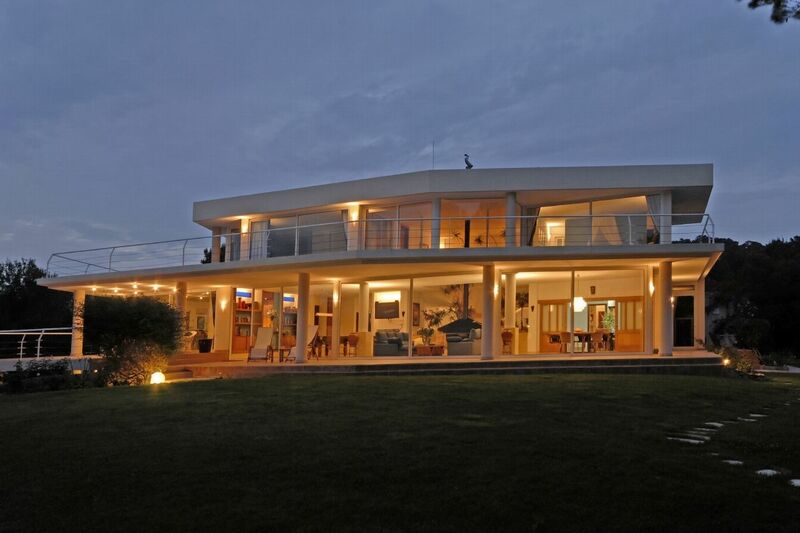 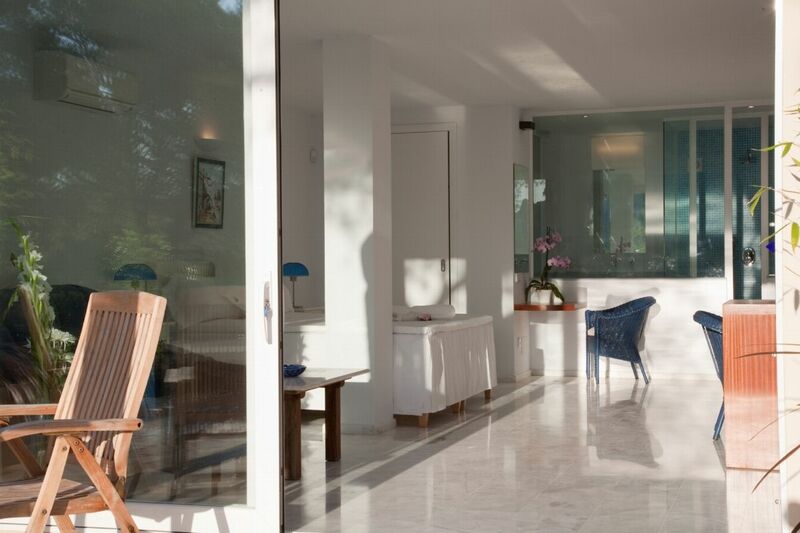 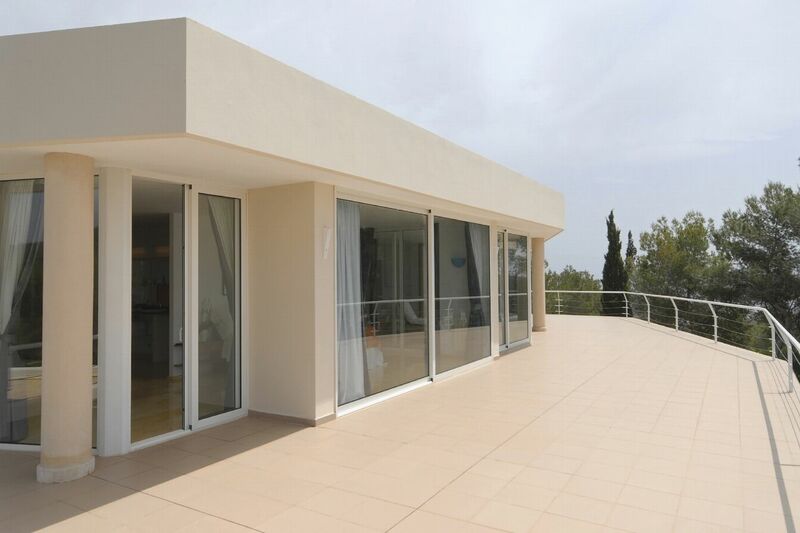 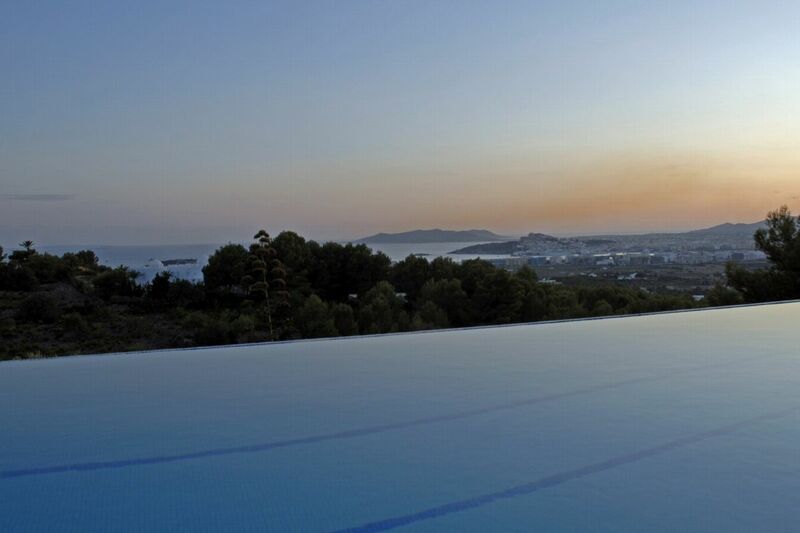 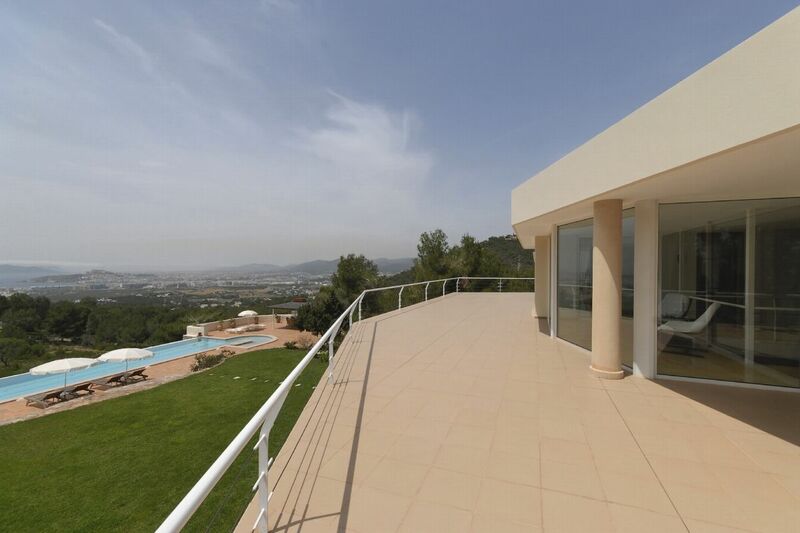 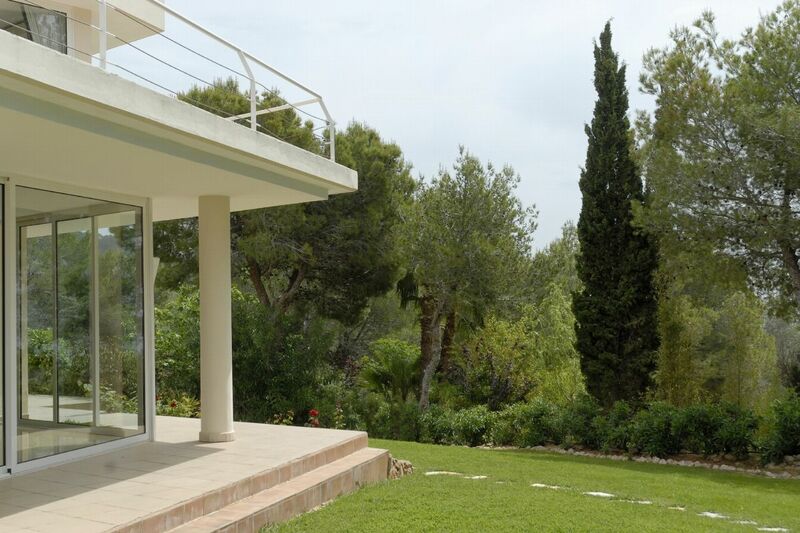 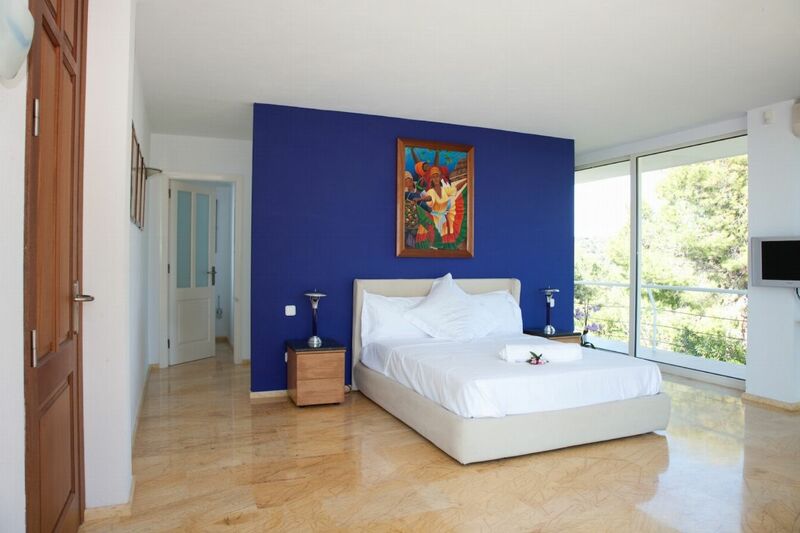 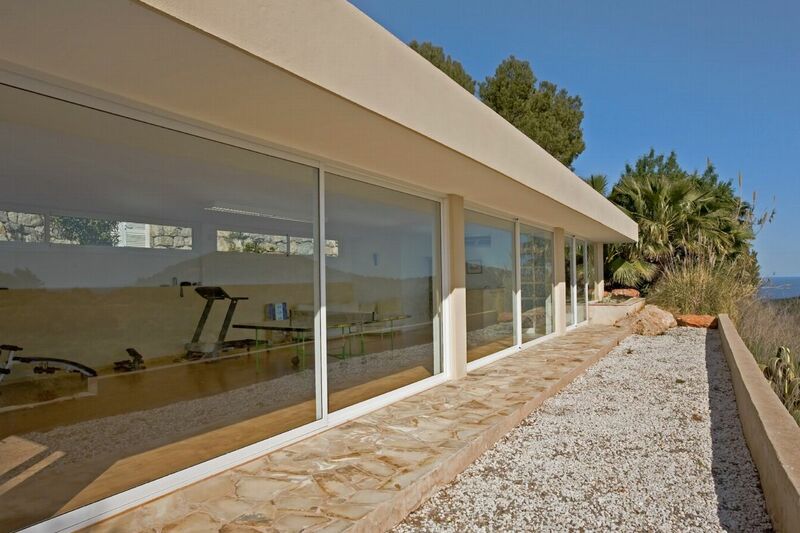 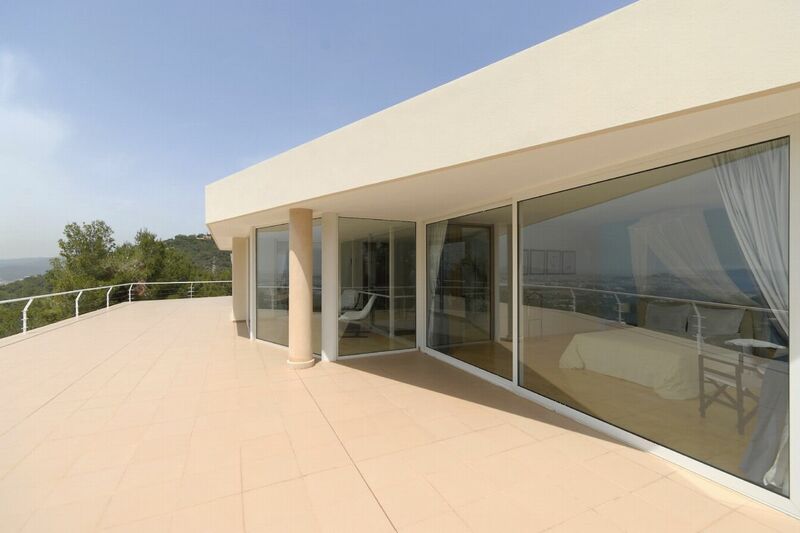 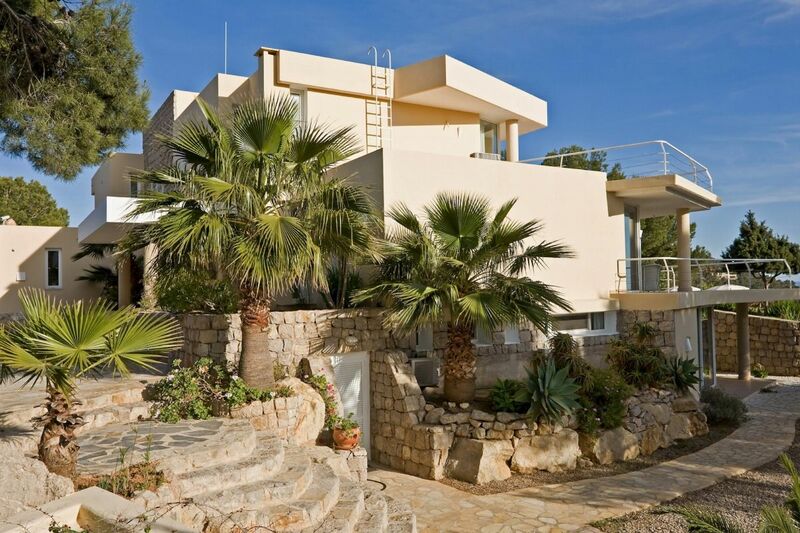 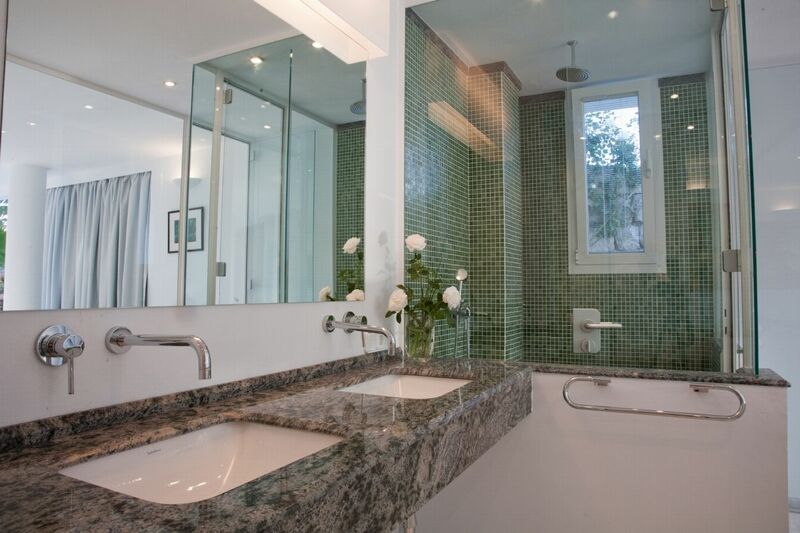 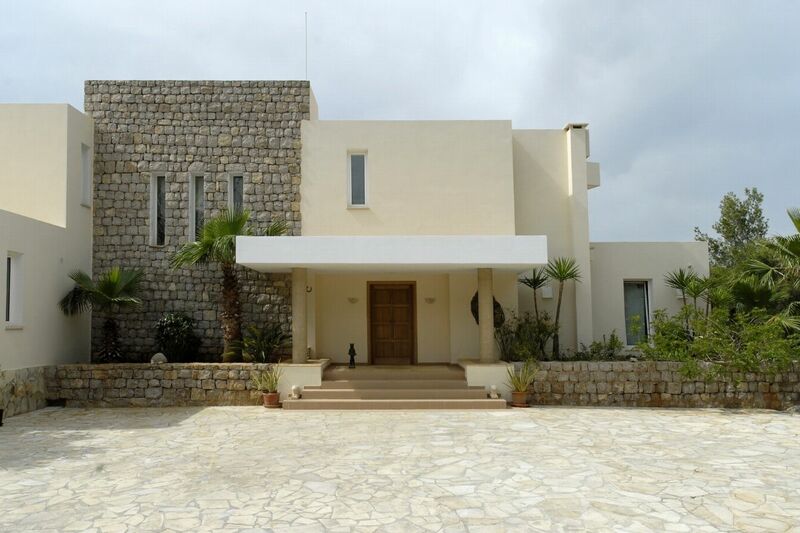 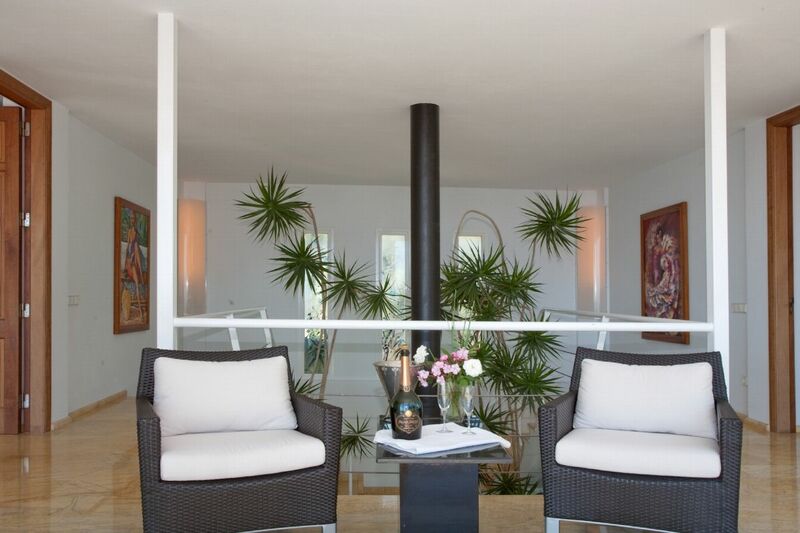 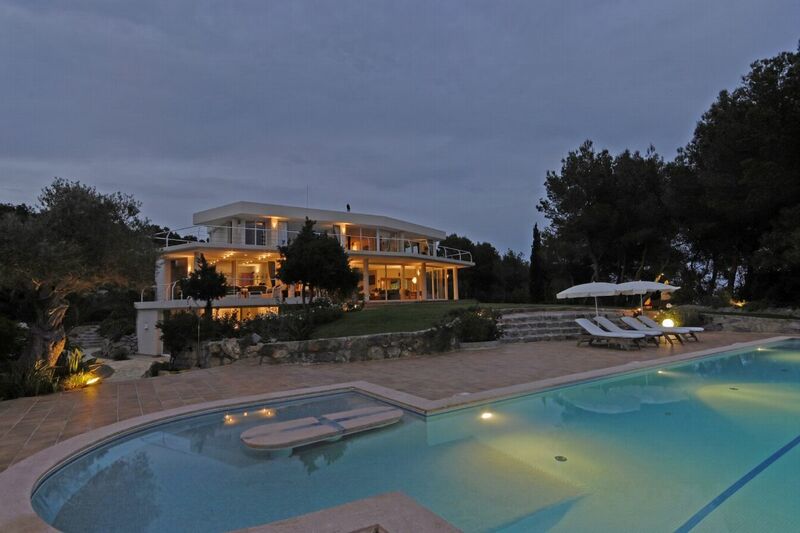 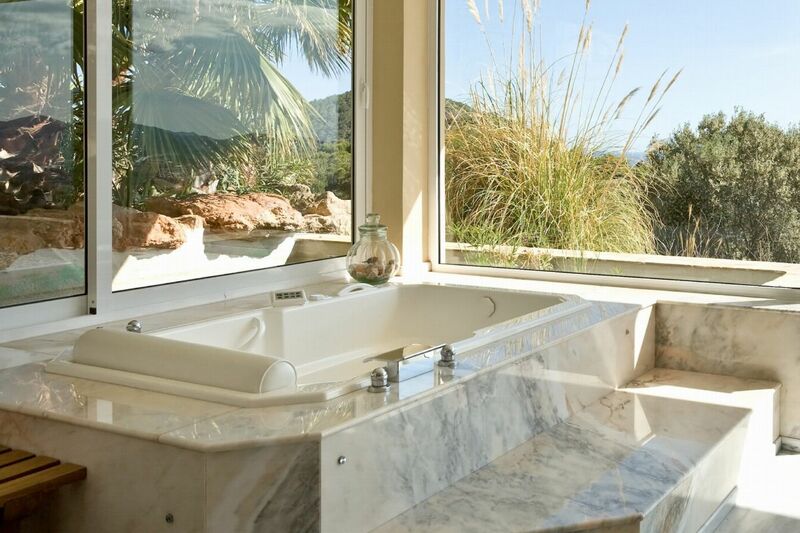 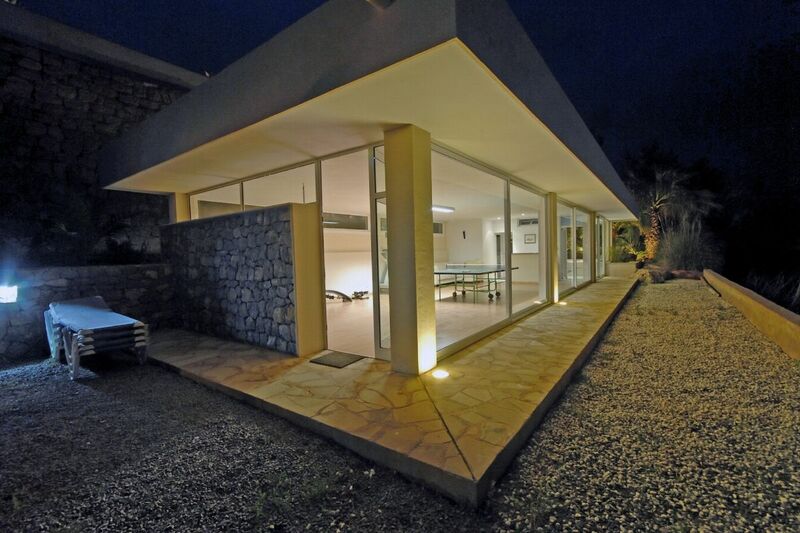 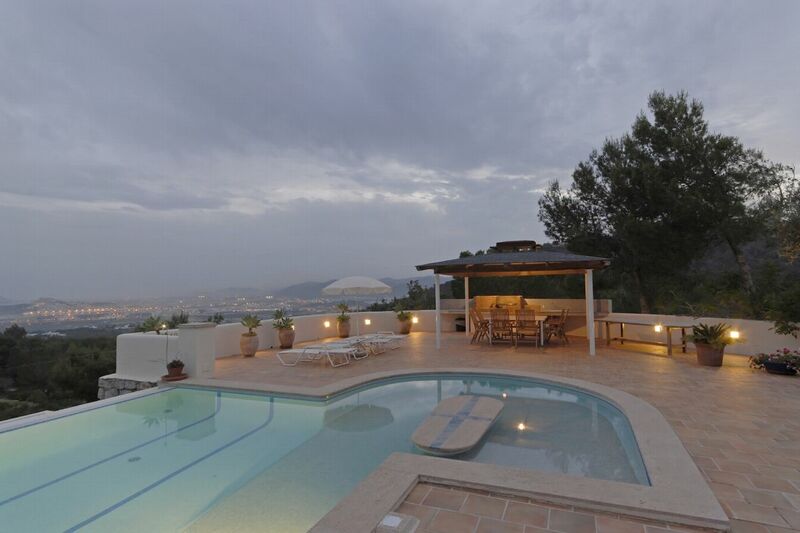 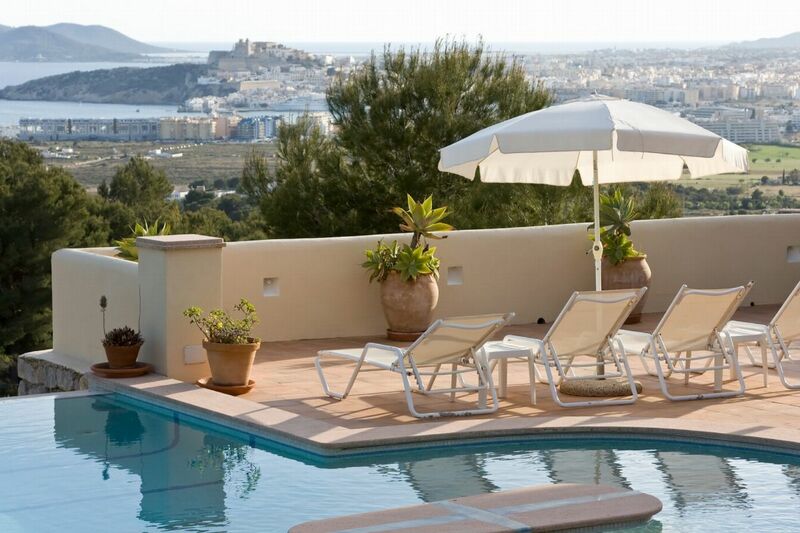 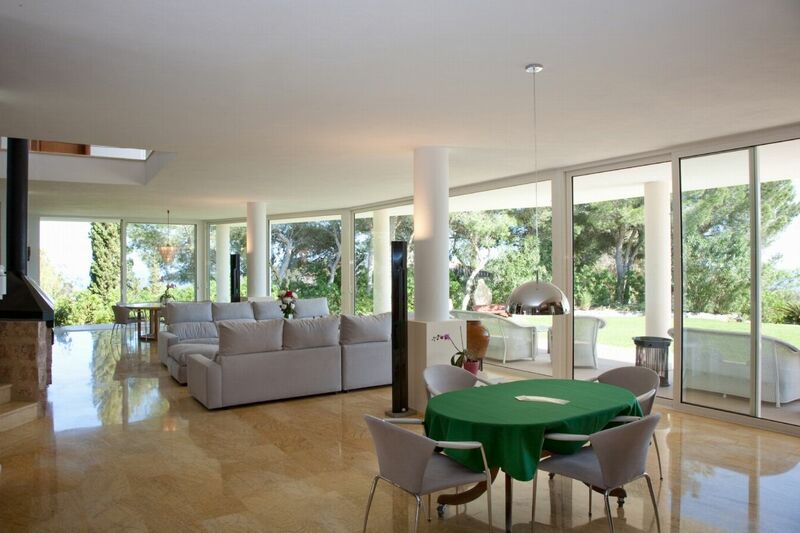 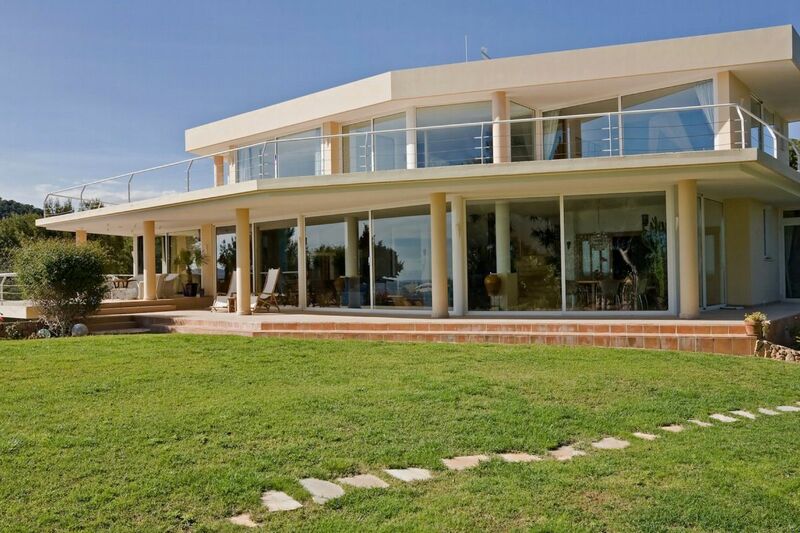 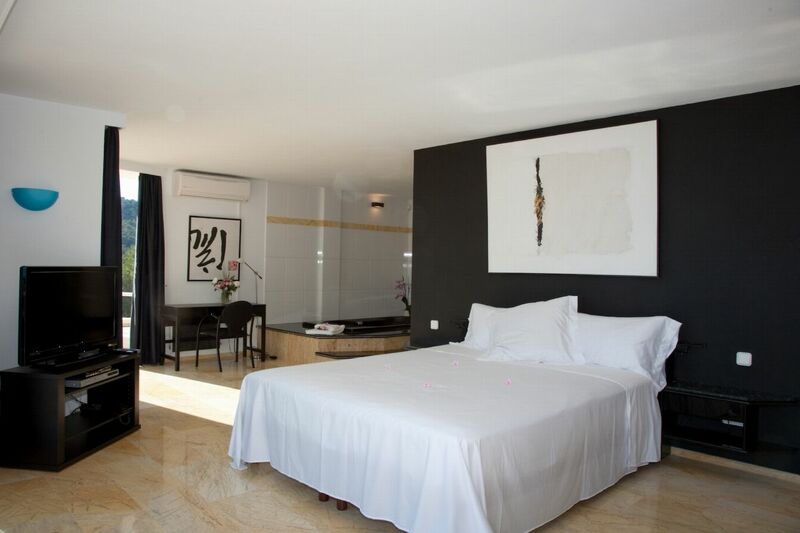 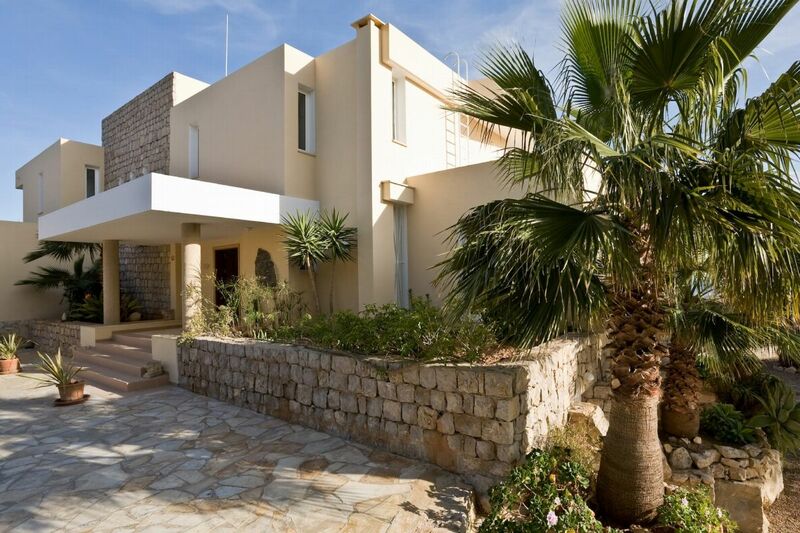 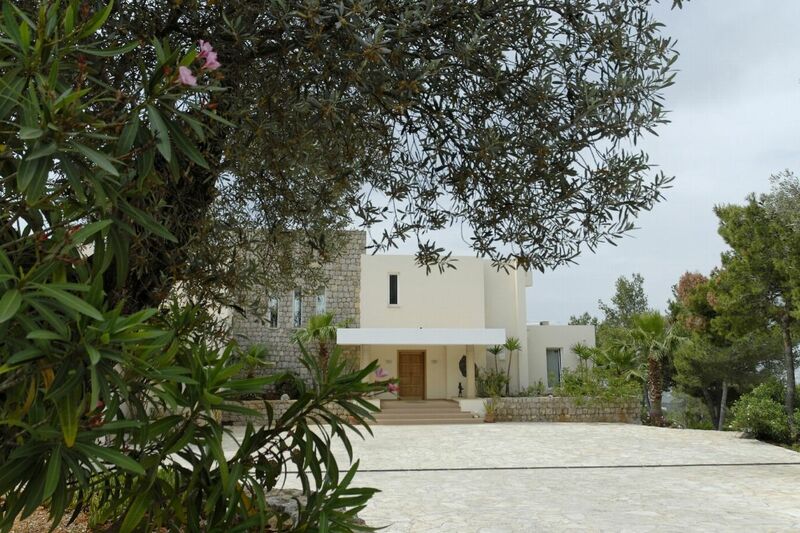 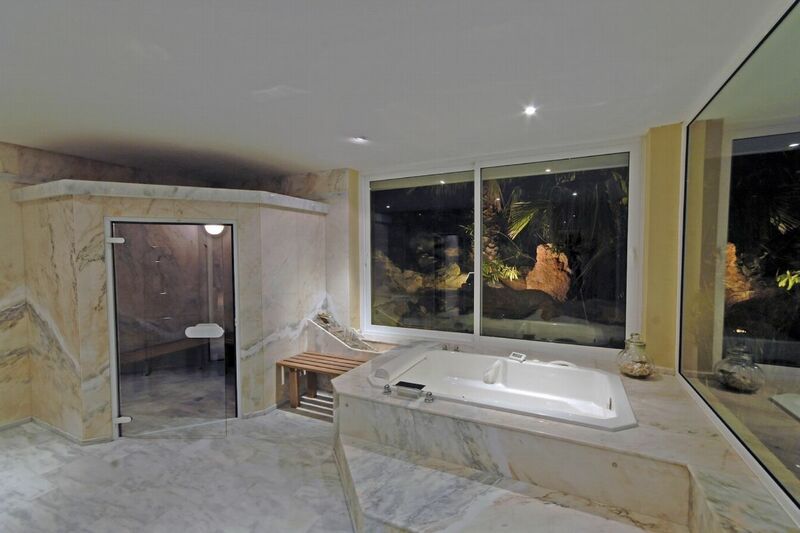 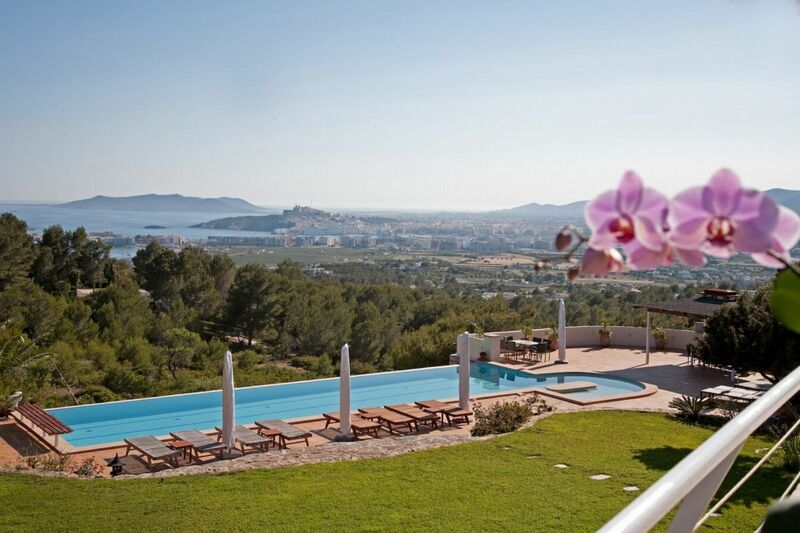 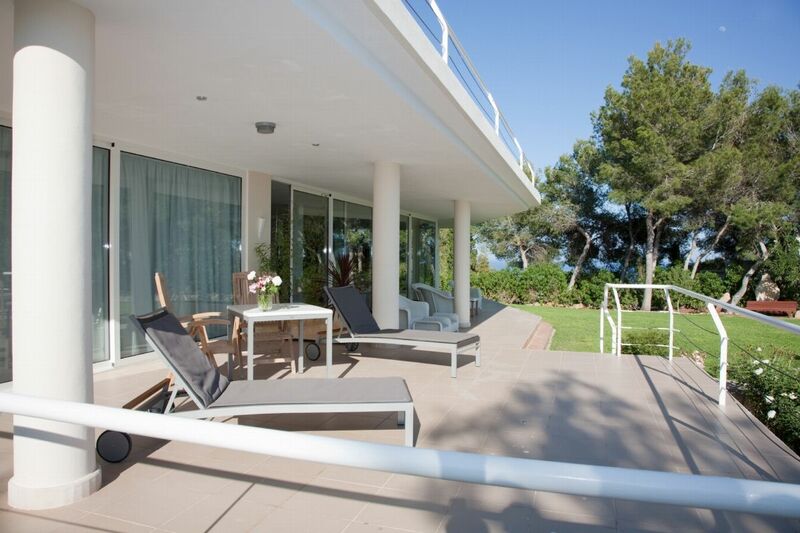 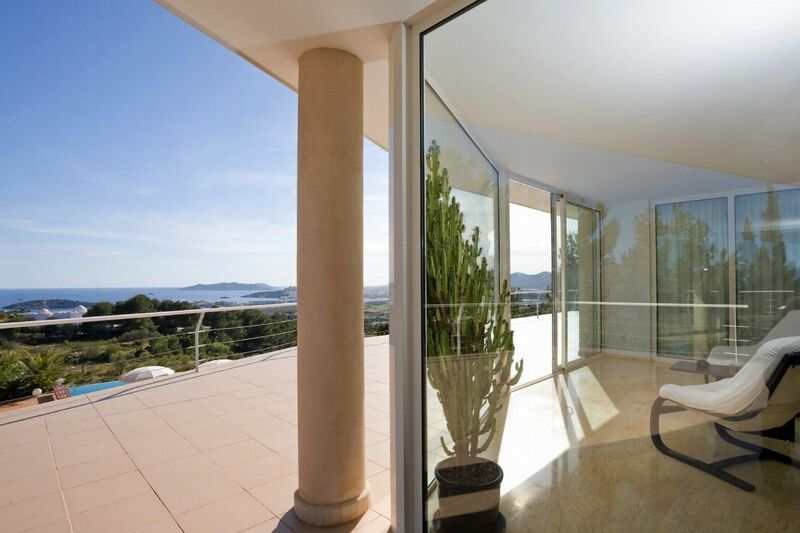 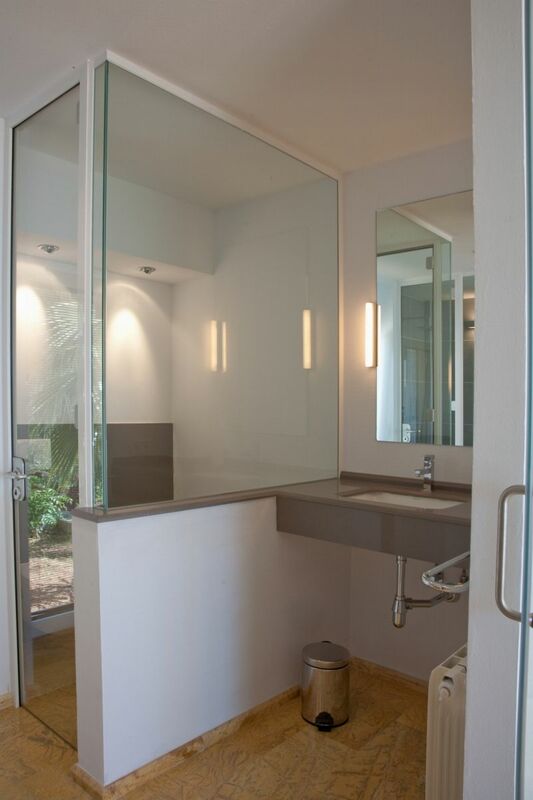 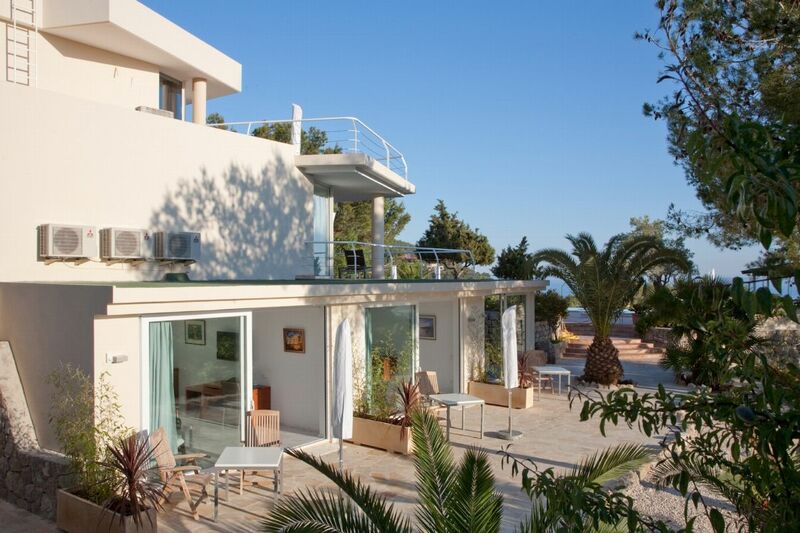 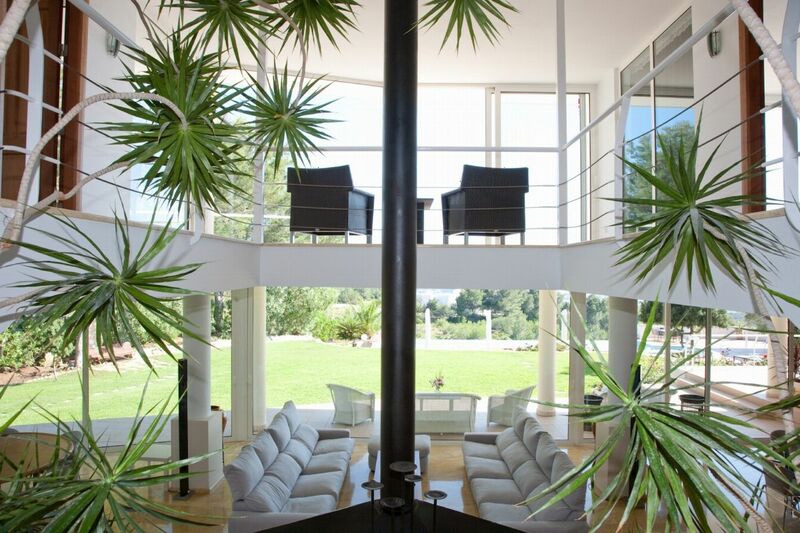 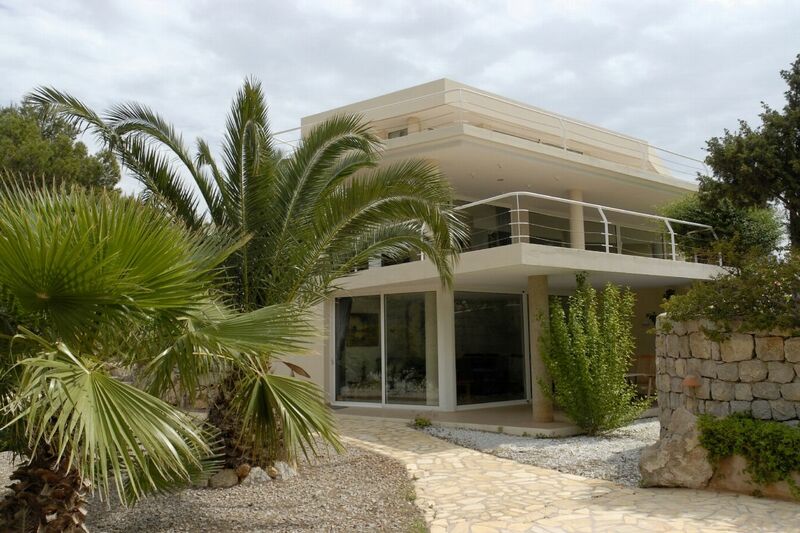 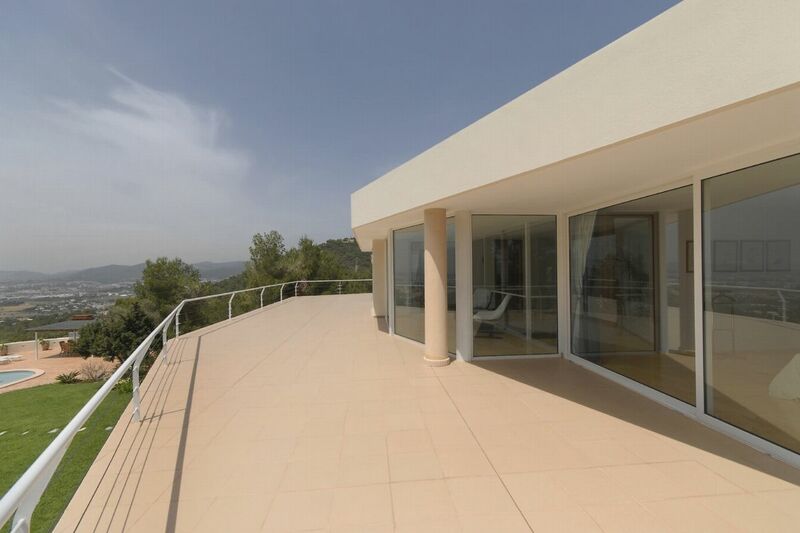 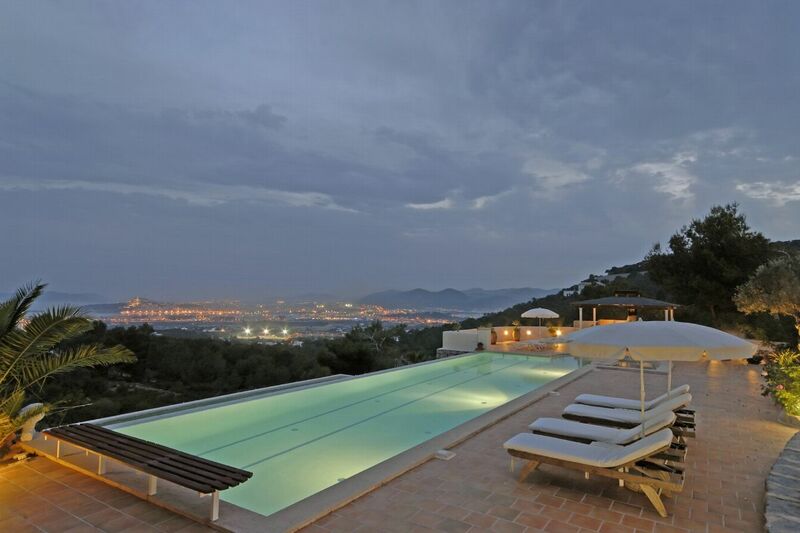 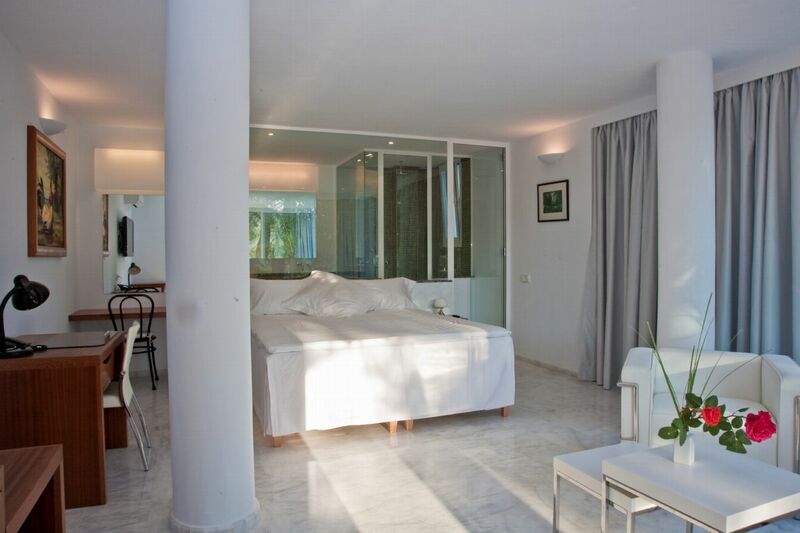 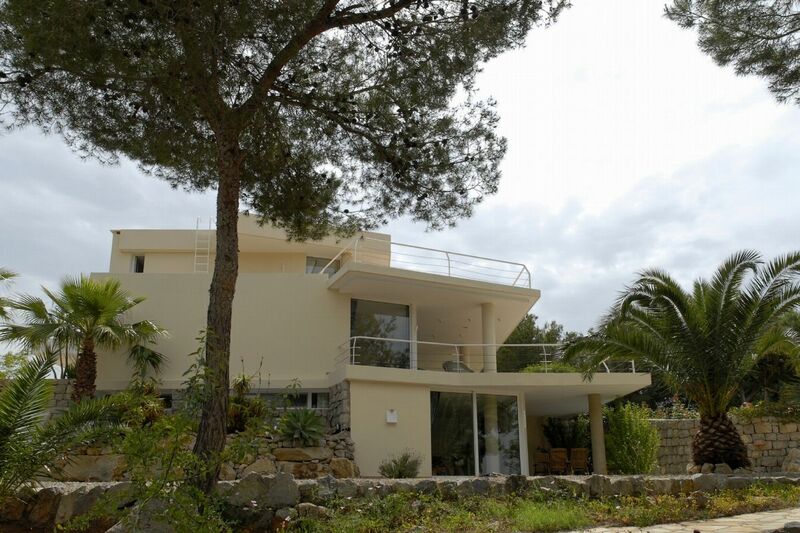 This amazing, luxurious, modern villa is situated in the secluded hills behind Talamanca. 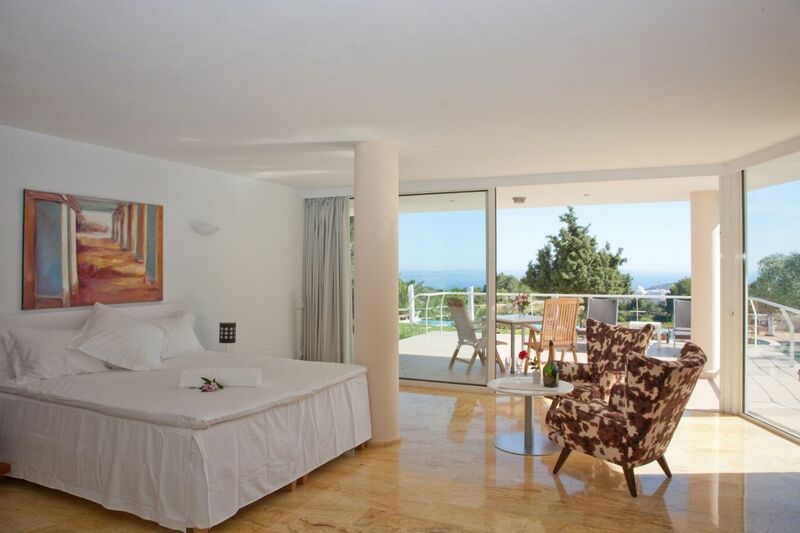 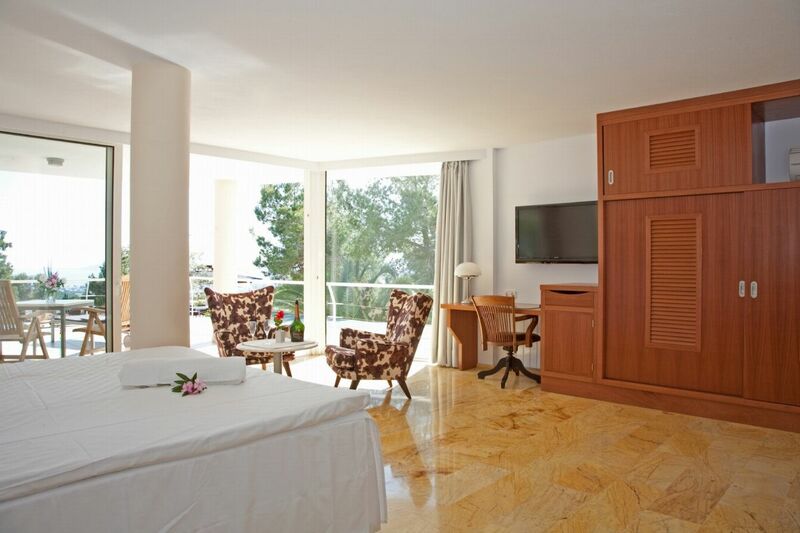 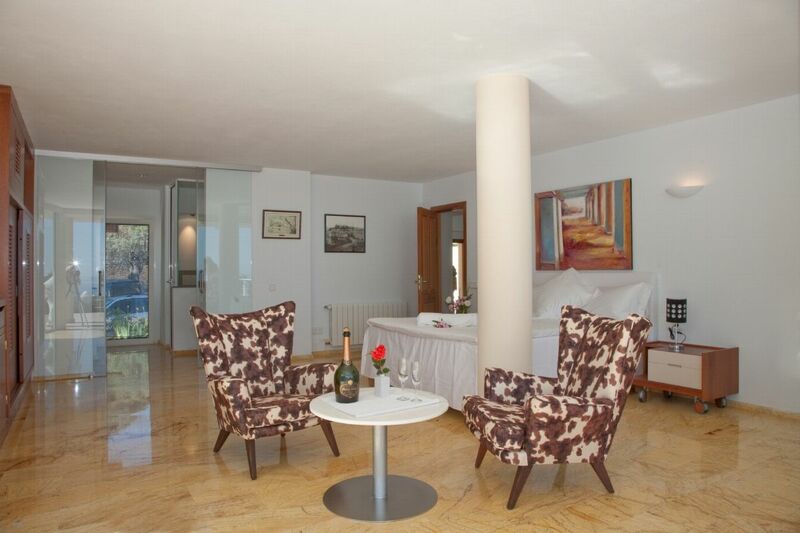 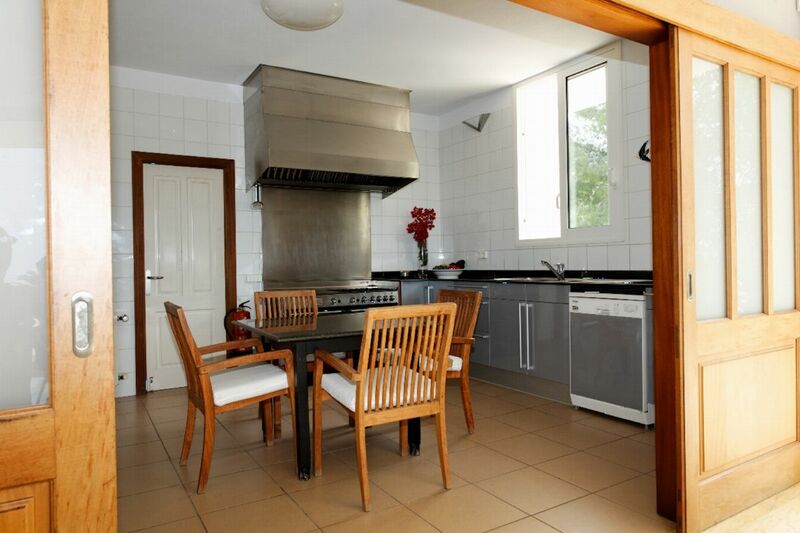 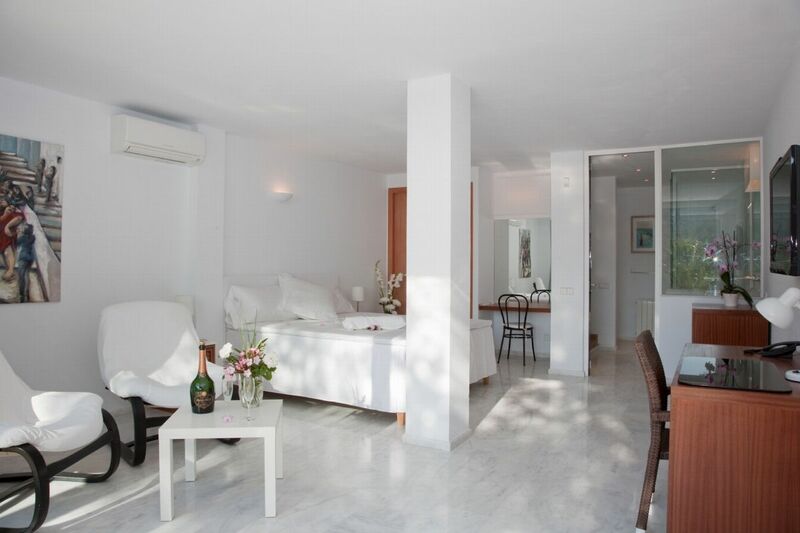 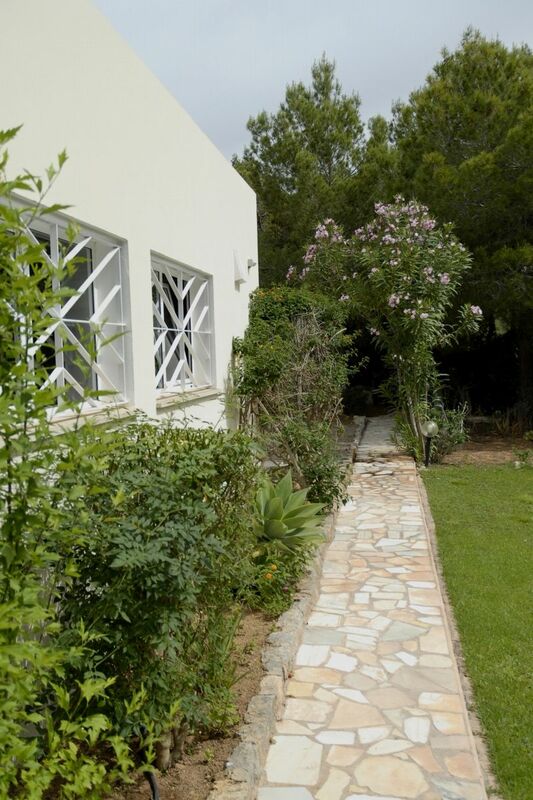 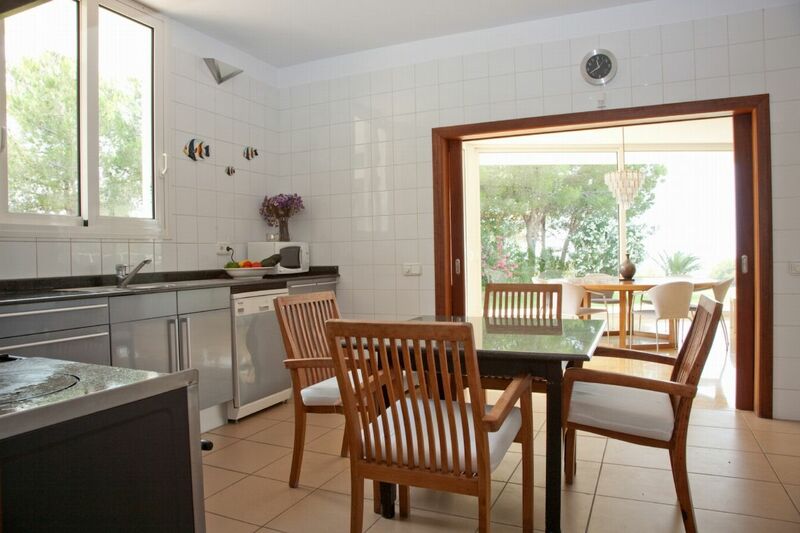 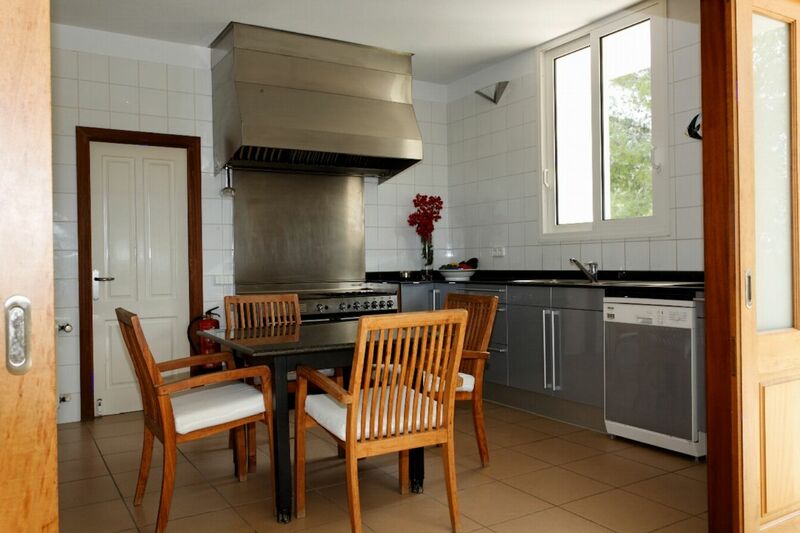 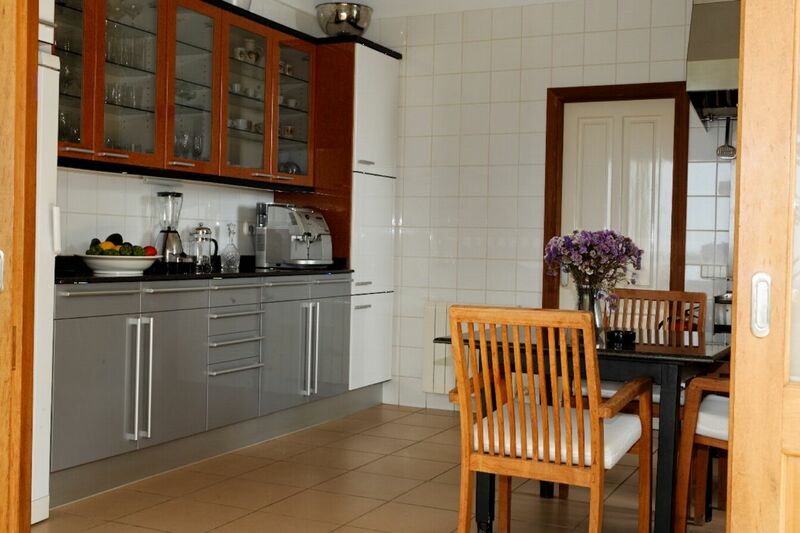 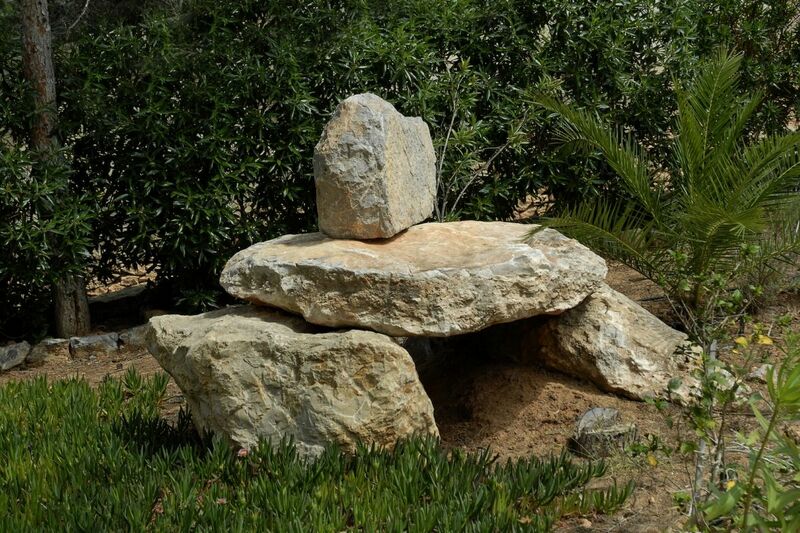 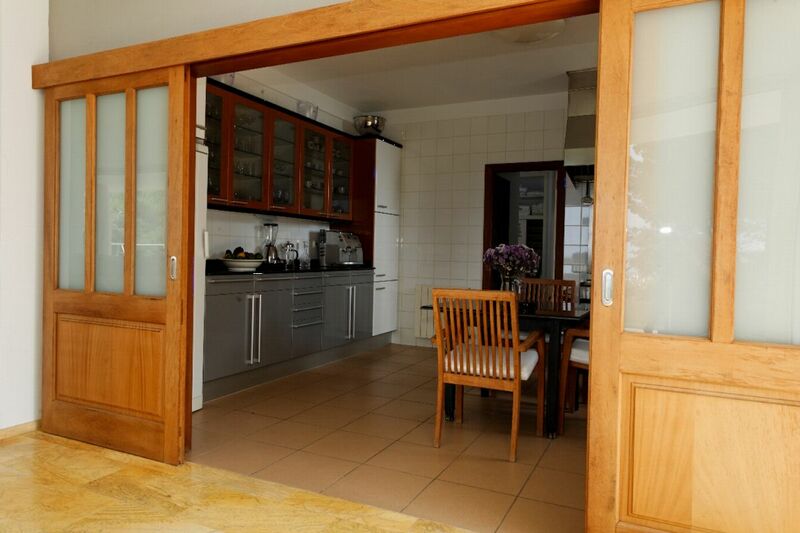 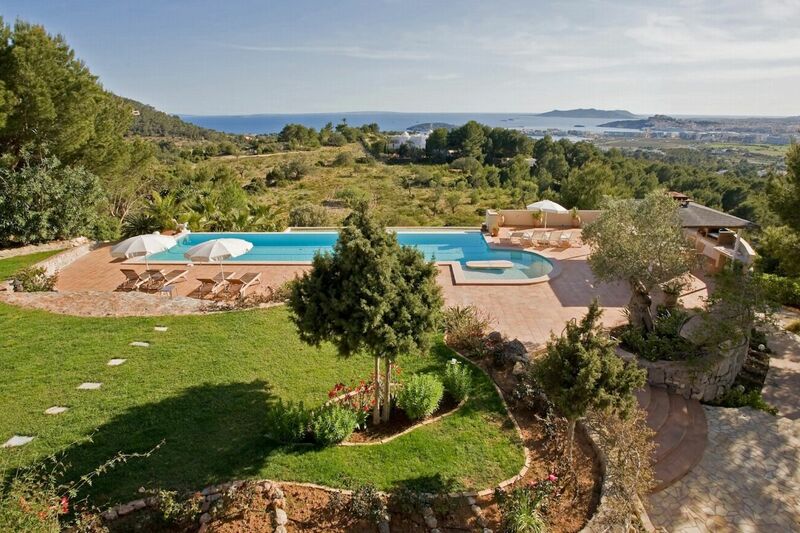 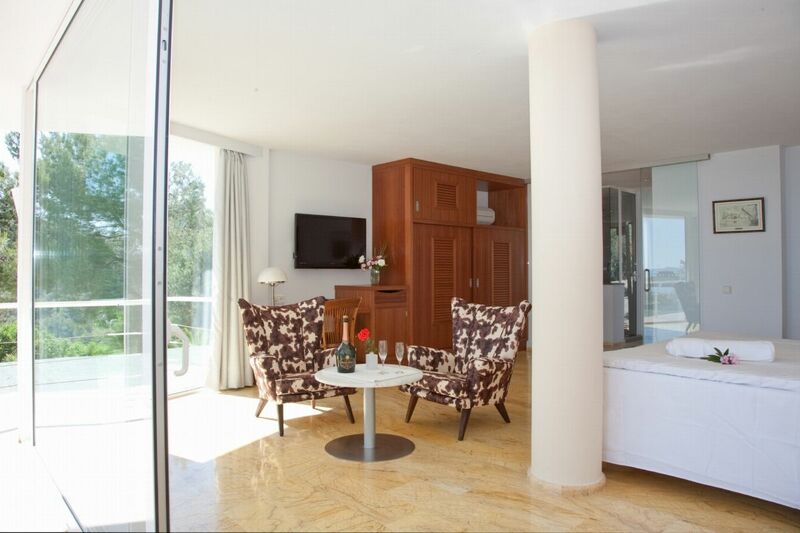 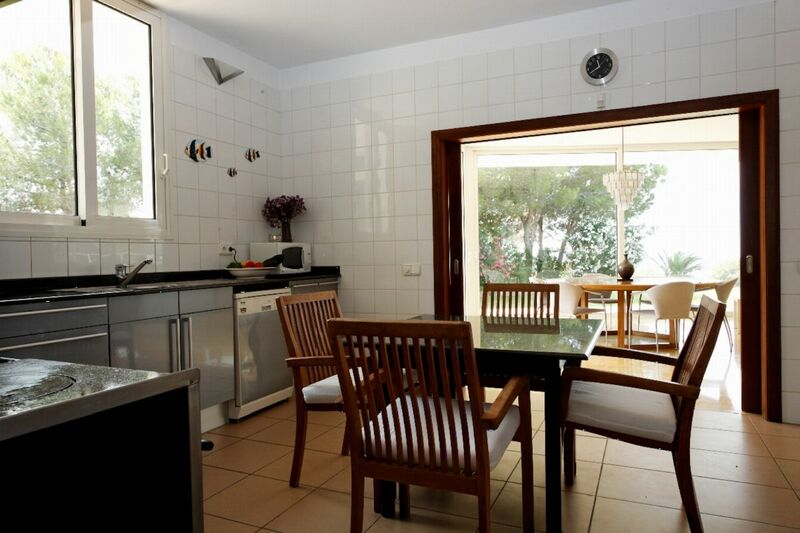 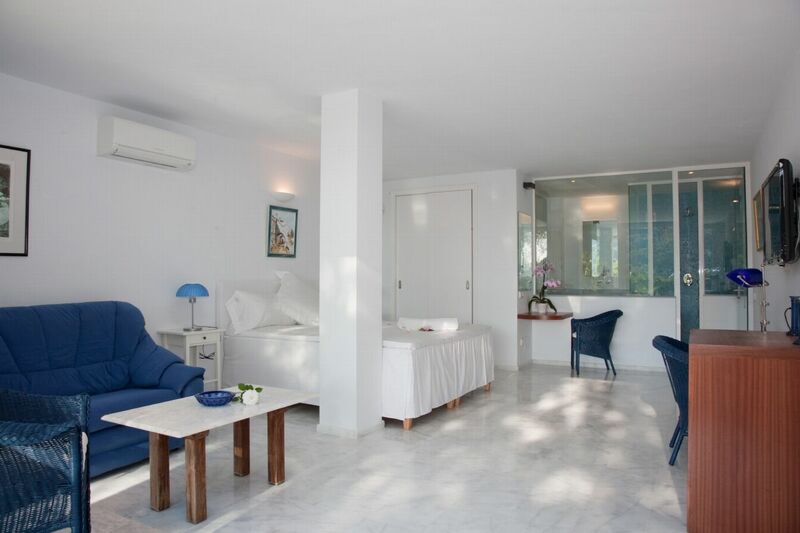 It is superbly located with spectacular sea views overlooking S'Estanyol Bay. 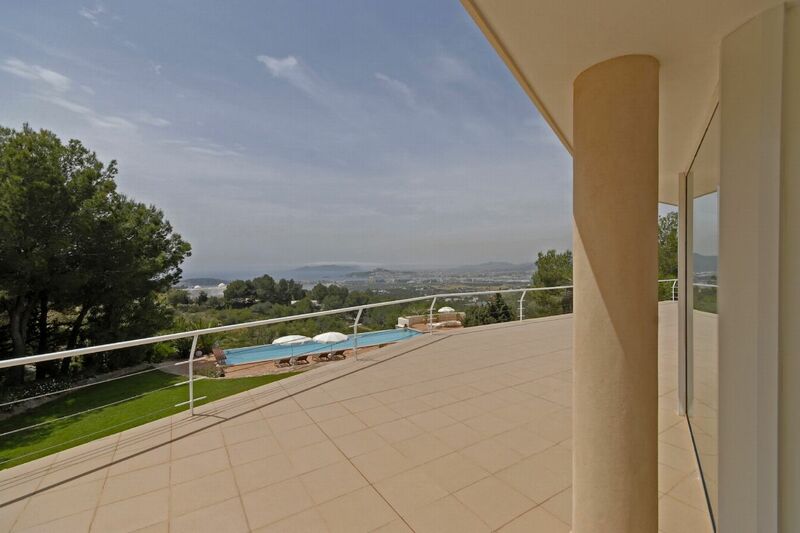 Set in beautiful gardens there is a huge terrace with a large infinity pool where the stunning views can be fully appreciated, a luxurious outdoor chill out area, dining area, garages and plenty of space for parking. 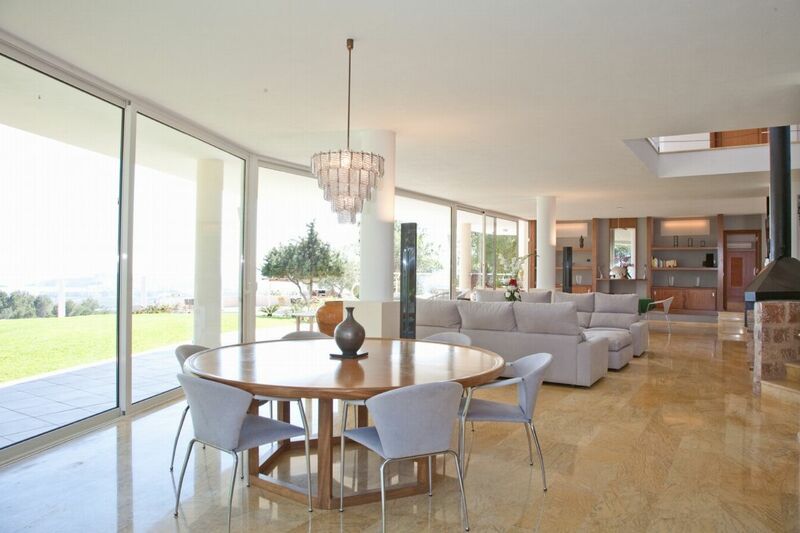 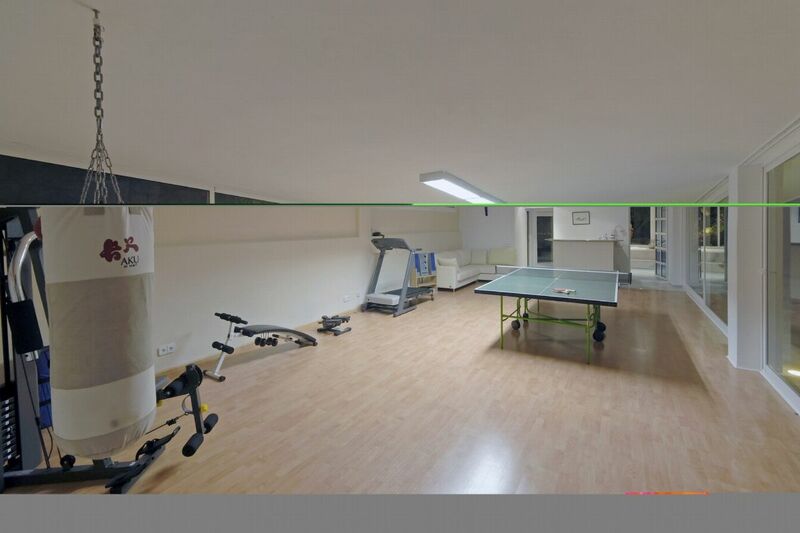 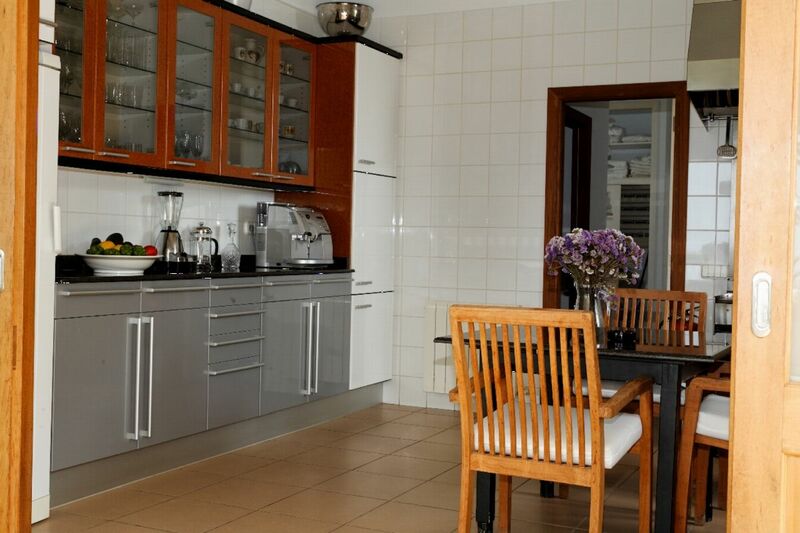 LIVING AREAS With modern, state of the art furnishings this house boasts 2 lounges, 2 fully equipped kitchens, jacuzzi, sauna and a private gymnasium. 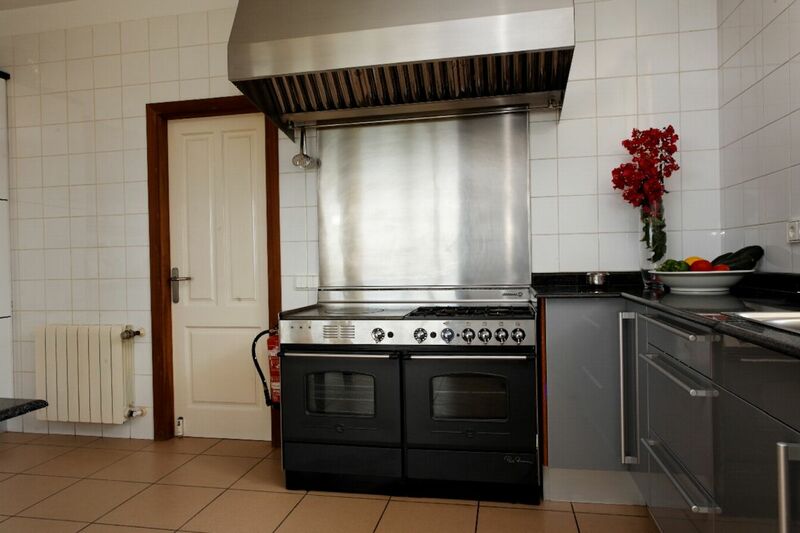 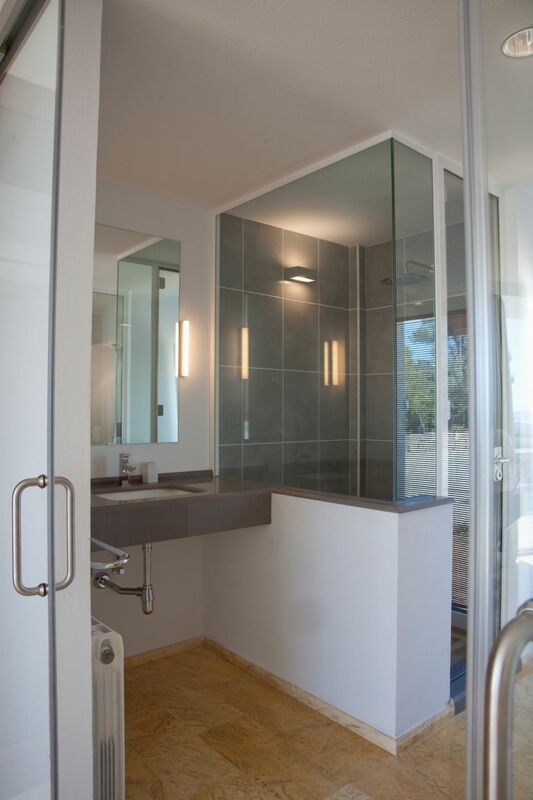 With en-suite and air conditioning.